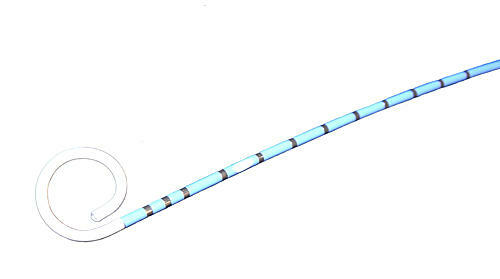 Thank you for your interest in Large Animal PV Catheters. Please complete and submit the form below and an ADInstruments representative will aim to get in touch within one working day. If you’d like to speak to someone immediately, office contact information is available from the contact page. The Ventri-Cath 507 features seven, 7 mm volume segments for a total ventricular measurement of 58 mm, excluding the pigtail. It is most suited for use in smaller dog and pig models. The Ventri-Cath 507S features seven, 7 mm volume segments for a total ventricular measurement of 58 mm. It is most suited for use in smaller dog and pig models. This option does not include a pigtail which facilitates placement via the carotid artery. The Ventri-Cath 510 features seven, 10 mm volume segments for a total ventricular measurement of 79 mm, excluding the pigtail. It is most suited for use in larger dog and pig models as well as sheep. The Ventri-Cath 510S features seven, 10 mm volume segments for a total ventricular measurement of 79 mm. It is most suited for use in larger dog and pig models as well as sheep. This option does not include a pigtail, which facilitates placement via the carotid artery. The Ventri-Cath 512 features seven, 12 mm volume segments for a total ventricular measurement of 93 mm, excluding the pigtail. It is most suited for use in larger pig and sheep models as well as bovine. The Ventri-Cath 512S features seven, 12 mm volume segments for a total ventricular measurement of 93 mm. It is most suited for use in larger pig and sheep models as well as bovine. This option does not include a pigtail, which facilitates placement via the carotid artery. The Ventri-Cath 515 features seven, 15 mm volume segments for a total ventricular measurement of 144 mm, excluding the pigtail. It is most suited for use large animal models of severe cardiomyopathy. The Ventri-Cath 515S features seven, 15 mm volume segments for a total ventricular measurement of 144 mm. It is most suited for use in large animal models of severe cardiomyopathy. This option does not include a pigtail which facilitates placement via the carotid artery. The Ventri-Cath PV catheters are multi-segment pressure-volume (PV) catheters for complete cardiac function assessment in continuously beating, intact hearts of large animals (including dog, pig and sheep). Each Ventri-Cath Catheter has a 5 F tip, a single pressure sensor, and twelve electrodes. Ventri-Cath Catheters allow direct insertion into the heart with no effect on normal heart function. The total ventricular measurement distance can be dynamically adjusted during PV procedures to match individual ventricular axis in the MPVS Ultra control software. 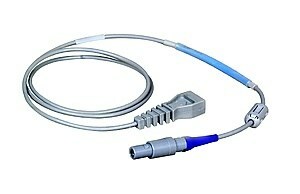 Ventri-Cath Catheters use new, lighter connectors that combine pressure and volume outputs into a single connector. When connected to the MPVS Ultra Pressure-Volume Unit (for large & small animals), Ventri-Cath Catheters provide simultaneous measurement of high-fidelity real-time pressure, up to seven segments of relative volume signals and an intra-cardiac ECG signal for monitoring and analysis of ventricular function. Ventri-Cath Catheters provide a high quality, high integrity and cost-effective alternative to the SPC-550 and SPC-560 series PV catheters. The Ventri-Cath Catheter range requires the PV Extension Cable (Ventri-Cath to MPVS Ultra, 10ft), (purchased separately) for connection to the MPVS Ultra Pressure-Volume Unit. Calibration: A Pressure Gauge kit, which provides the necessary items to calibrate the pressure transducers, is also available. Millar Mikro-Tip Catheters require a certain level of care to ensure accuracy and the anticipated lifespan of your catheters. For a few best practice tips to help get you started with your catheters, see our guide here.